High-quality containers and compactors for your high volumes of waste and recyclables. Our commercial rentals make your work load easier. 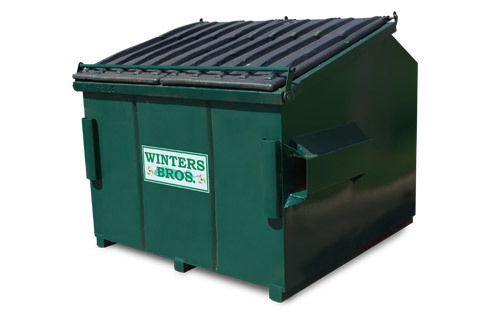 Whether you’re a contractor on a demo project, an office manager of a medium-sized business or a big box store supervisor dealing with large volumes of waste, Winters Bros. has a full line of affordable options for rent, all ready to be delivered to your job site now. Tell us about your project or business objectives and we’ll help you decide on the right sized roll-off dumpster container for the job. From 2 to 30 yards, open, closed or compacted, we’ll find you an option that meets your environmental and budgetary needs. In some cases, even available the same day! Be sure to ask about our special pricing on multiple boxes. Call 631-491-4923 or fill out the form below to discuss our scheduled service options. Call 631-491-4923 or fill out the form below for rental quote or to discuss our scheduled service options. Call 631-491-4923 or fill out the form below for rental quote.